As Central Bank of Afghanistan, Da Afghanistan Bank operates to stabilize price levels, strengthen the financial sector, ensure the safety of payment system, manage currency reserves effectively, print Afghani banknotes and act as state banker. To implement these responsibilities, Da Afghanistan Bank has established various departments within its organizational structure to support the economic development with the performance of fundamental duties and achievement of the bank’s objectives. Governor's Office Directorate is a key department that plays prominent role in implementation of objectives and mission of DAB. The department transmits policies of the Central Bank through its relation with stakeholders and informs the market players from the latest economic events and predictions on inflation rate, economic growth and financial sector stability. 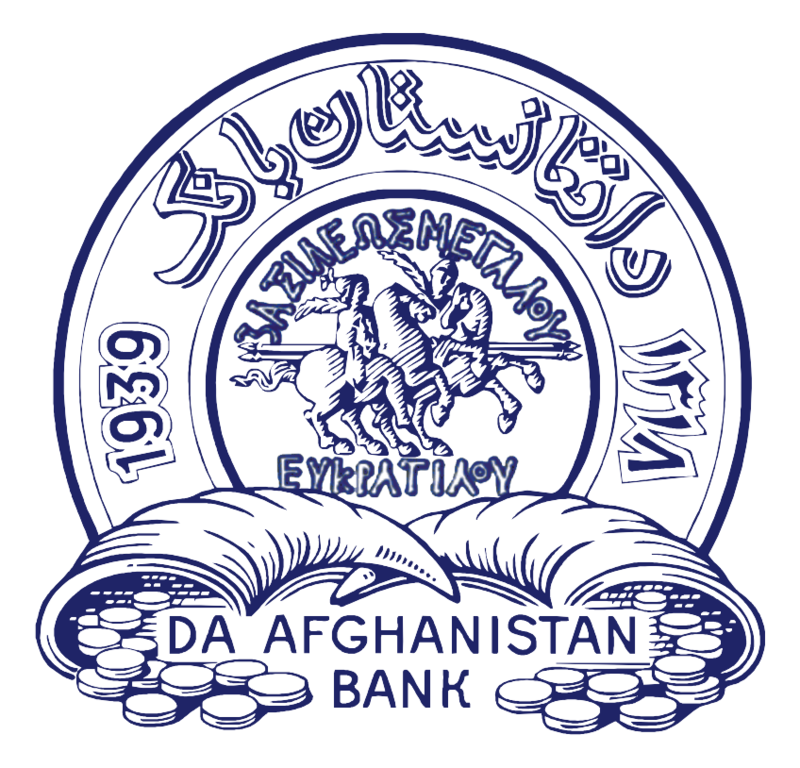 Da Afghanistan Bank has the responsibility of conducting monetary policy. This responsibility is explicitly mandated under the DAB Law, 2003. Article 62 of Da Afghanistan Bank Law states: "DAB shall be responsible for the formulation, adoption and execution of the monetary policy of Afghanistan." In late 2003, following the enactment of DAB Law and Banking Law, Financial Supervision Department (FSD) established to discharge the DAB regulatory responsibilities. Parallel with the growth and evolution of the activities in the banking sector, the FSD has also undergone major growth over the last decade. To implement monetary policy, develop financial markets, manage foreign exchange reserves, conduct weekly auctions in the most effective way, and to promote market stability both in foreign exchange and domestic money market. Article 21 of Da Afghanistan Bank Law contains the provision for appointment of Comptroller General and establishment of Comptroller General’s Office (Internal Audit Department) in DAB (Central Bank of Afghanistan). Financial disputes resolution commission (FDCR) is established in accordance with article 106 of DAB law. It is a specialized forum that addresses complicated legal disputes in the banking and communication sector in an independent, transparent, effective and technically sound manner. The Financial Transactions and Reports Analysis Center of Afghanistan (FinTRACA) was established as a Financial Intelligence Unit (FIU) under the Anti Money Laundering and Proceeds of Crime Law passed by decree late in 2004. The main purpose of this law is to protect the integrity of the Afghan financial system and to gain compliance with international treaties and conventions. The recent worldwide financial crisis has underscored the importance of protection of depositors’ funds and ensuring the smooth functioning of the payments system. Prudential regulation and supervision come first as the most essential tools to protect depositors’ money, while a deposit insurance scheme comes as the last line of defense. Public credit registry (PCR) department was established within the structure of DAB in 2008 under Financial Strengthening Project contract with World Bank. Its activities include registration of mortgage rights on movable properties and public credits registry funded by World Bank. PCR enforces its legal authorities as per banking law and Da Afghanistan Bank law and acts in light of DAB jurisdictions. Accounting and finance general directorate plays a vital role in achieving DAB objectives. Objectives of this department are as follows:1- Daily posting of financial and accounting transactions. 2- Design and implementation of controls which helps in prevention, declaration and correction of errors. 3- Preparation of plan. 4- Preparation of budget.5- Preparation of financial reports. The one area of growing importance to a new administration is the use of information technology. Banks and their delivery of services to citizens have changed dramatically in recent years. Most bank officials now realize that the ability to provide more timely, accurate, less costly and higher quality bank services depends to a great extent on information technology-related decisions. One of the elements of development and progress is the human capital. If this capital contributes productively in providing services, undoubtedly course of progress would accelerate and this would play a greater role in the following achievements. General Counsel was established in 2004 within the structure of Da Afghanistan Bank. This office has the responsibilities to provide necessary consultations and guidance as to laws and regulations of Da Afghanistan Bank including drafting, omitting or coordinating legislation of Da Afghanistan Bank or other enforceable laws of the country. This department is assigned to provide banking services for state, government and semi-government entities and commercial banks. The main objective of Payments department is to establish, maintain and promote sound, safe and efficient payments system also control of contingency risks in line with international best practices and Payments services for Government sector, financial sector and for public revenue with concerning of Payments development and technological changes. Financial sector strengthening projects financed by World Bank was established on 24 May 2009 within the structure of Da Afghanistan Bank. Development projects of Da Afghanistan Bank funded by the World Bank are divided in two parts namely: Registration system of movable properties and financial sector strengthening projects. It is responsible to provide staff travel costs, prepare letters on and pay for advertisements, prepare letters on advertisements for promotion and preservation of Afghani notes and pay its costs, prepare tickets for staff abroad training travels (departure and arrival), prepare electricity and digital phone bill. Research shows that financial inclusion plays a vital role in achieving macroeconomic policy goals such as inclusive economic growth, poverty reduction, reducing income inequality and improving welfare in a country. Considering the importance of financial inclusion and the recommendations of the international organizations such as the World Bank and the IMF, Da Afghanistan Bank established a dedicated department within DAB in June 2016 to improve and enhance financial inclusion across the country by formulating the National Financial Inclusion Strategy (NFIS) for Afghanistan. Procurement Department has been recently established on 21st February 2015 as a separate department in Da Afghanistan Bank, pursuant to the Public Procurement law of Islamic Republic of Afghanistan. The Procurement Department is responsible for managing all procurement and contract management activities for the entire DAB. The aim is to have one point of contact for all procurement and contract management activities at DAB.